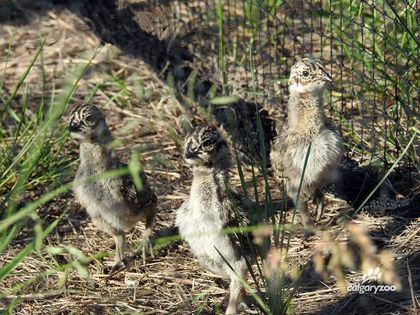 The Calgary Zoo says it has successfully hatched several dozen greater sage grouse in an effort to bolster the endangered prairie bird’s population. The zoo says eight hens, six males and 50 juveniles are thriving at its Devonian Wildlife Conservation Centre. The goal is to eventually reintroduce some of the birds into the wild, where fewer than 400 remain. Greater sage grouse are threatened by habitat destruction and human development. The zoo says there are only five mating grounds —known as leks — left in Canada: two in Saskatchewan and three in Alberta. The Calgary Zoo opened its breeding facility last fall. The custom-made breeding facility provides the birds with a natural environment, which is important for their successful reproduction and welfare. Sage brush, grown in the wild in British Columbia, will be used as a winter food source for the flock.